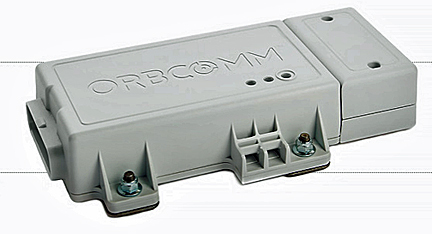 Two leading magazines within the IoT world are IoT Evolution and IoT Evolution World from Crossfire Media—these two publications have just named ORBCOMM (NASDAQ: ORBC) as the winner of two IoT Evolution Product of the Year awards. The offerings winning this recognition include the company's PT 7000 and the ORBCOMMconnect multi-network management portal. The ruggedized PT 7000, which is available as a cellular or dual-mode satellite-cellular device, provides accurate status and position information along with key operational metrics, such as fuel consumption and engine hours—Original Equipment Manufacturers (OEMs), dealers and end users can proactively manage heavy equipment fleets worldwide. The PT 7000 works with ORBCOMM’s newly enhanced FleetEdge web application, delivering comprehensive dashboards, advanced reports and analytics, custom charts, alerts, self-service administrative functions, and more. The ORBCOMM solution provides valuable equipment position, status and performance reports that enable customers to track asset movement to minimize theft and loss, schedule service alerts to enable preventative maintenance and monitor fuel usage to optimize fuel consumption. The ORBCOMMconnect portal gives customers comprehensive control over their wireless services and connected devices, while reducing the complexity of managing and integrating multiple connectivity offerings. With ORBCOMMconnect, customers have access to three satellite and seven Tier One cellular networks in a single platform. Through the portal’s robust account management capabilities, both small and large enterprises are able to provision units, enable single or dual-mode connectivity options, set automated thresholds and account-wide alerts to prevent data overages and control subscriber status changes, as well as greatly streamline billing processes. The ORBCOMMconnect portal is also available for both iOS and Android devices as a mobile application to enable subscriber management on the go.